Dr. Raissi is originally from Edina, Minnesota and attended the Marquette University School of Dentistry. He has his certification in endodontics from the University of Southern California. With 22 years of experience in total and has been at our practice since January of 2017. 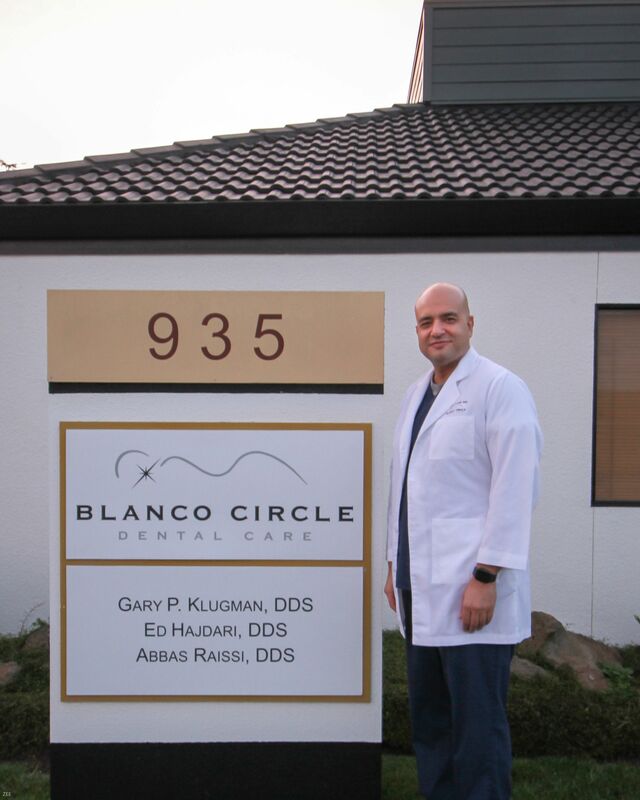 Dr. Raissi says the best part of working at Blanco Circle Dental is attending to our patients’ needs and having fun with our wonderful staff. He stays up to date on the latest developments in dentistry through his involvement in the American Dental Association, the State of California Dental Association, the American Association of Endodontists, the Gilroy Rotary Club, and the Santa Clara Dental Society. Dr. Raissi has two twin boys, and when he’s not at the office he enjoys spending time with them, going to movies, working out, and engaging in a variety of other activities.